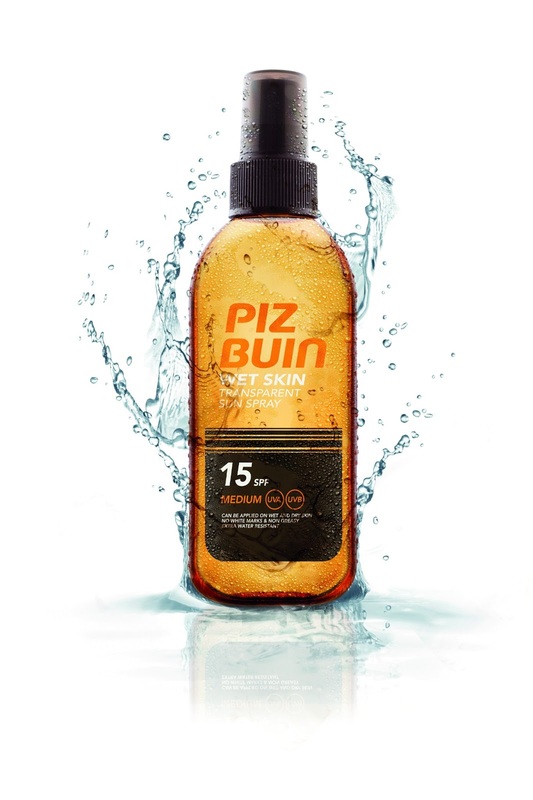 A few weeks ago I descended from the freezing, gloomy London streets into the sanctuary found at The Haymarket Hotel to celebrate the launch of Piz Buin Wet Skin Transparent Sun Spray. There latest offering to sun protection can be applied fresh from the pool and still sinks in beautifully, preventing skin damage whilst you are drying off from your dip, which is one of the most common ways we get burnt as any protection we had applied earlier has been washed away. Piz Buin Wet Skin Transparent Sun Spray is currently available in SPF 15 and 30, but I don't think it will be too long before you will able to find it in the full range. I really liked the consistency which despite being a oil doesn't feel greasy, but gives leaves a gorgeous gleam to the skin. The sun spay is able to cut through the water as it contains polyester and resin which are hydrophobic – they repel water, so allow the oils containing the sun filters can give a uniform coverage on the skin, so no pink patches! The Sun Spray is priced at £17.99 for 150 ml but you'll be able to find it better than half price at the moment in superdrug. At the event we forgot that it was far from sunny outside, with gorgeous scent transporting us to a tropical paradise whilst we sipped on yummy cocktails. Roll on Summer!